Ideal to create a bigger and brighter room comes our brand new Paris mirrored furniture collection. Part of our extensive collection of Venetian glass mirrored furniture. 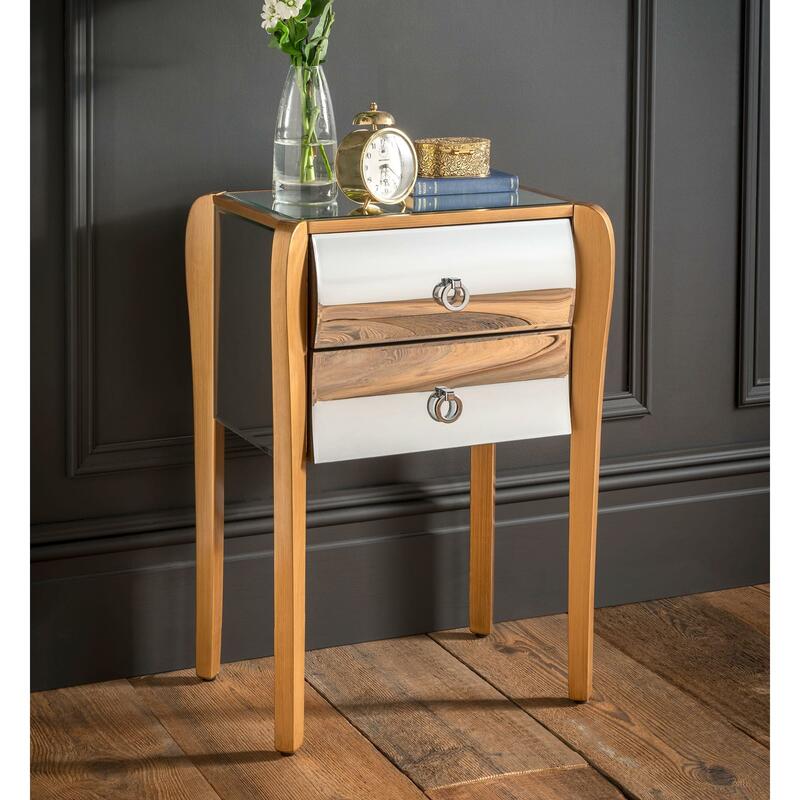 This Paris mirrored bedside table is crafted from clear cut glass with gold finished wood. Ideal to add a touch of charm and style in your bedroom today, this Paris mirrored bedside table with wonderful and unique curved front drawers will impress across generations.